Valentine’s weekend and I awake to the sweet scent of bright red cake baking! 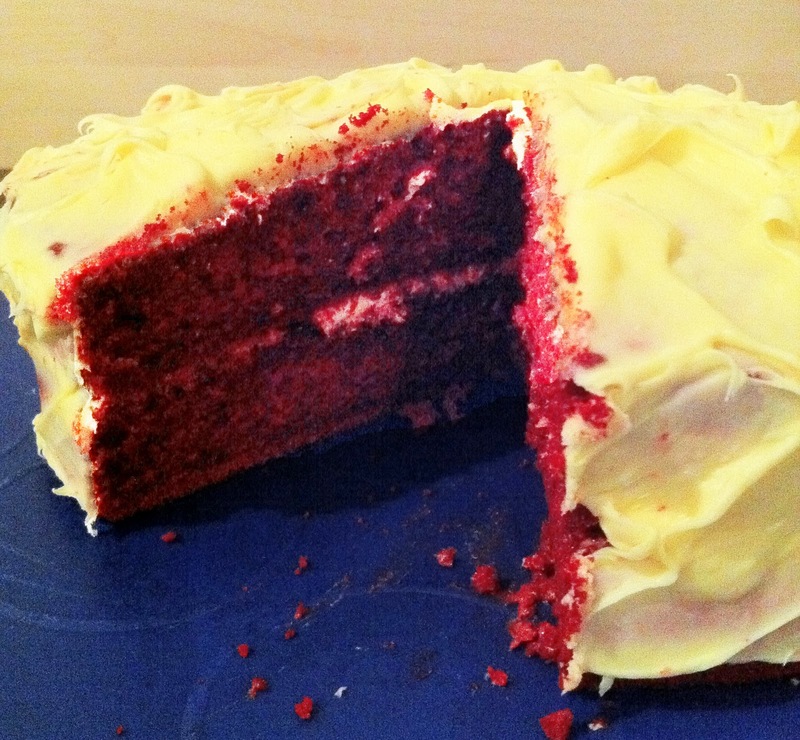 My super hubby has made me a red velvet cake! The photo doesn’t really do it justice. The cake was a luscious deep dark red, and ohh, soo moist! Thanks Honey-Bunny! I love you !!! Preheat oven to 375°F (190°C). Butter two nine inch (23 cm) round baking pans and dust with flour. Heat butter, water and cocoa in a small saucepan, stirring constantly, without boiling. Beat together eggs, buttermilk, vanilla, and food coloring until frothy. Beat in the butter mixture. Sift together the flour, cornstarch, and baking powder. Add all of this plus the sugar. Pour the batter into the prepared pans. Bake for 25-30 min. For the frosting, beat together all the ingredients until smooth.